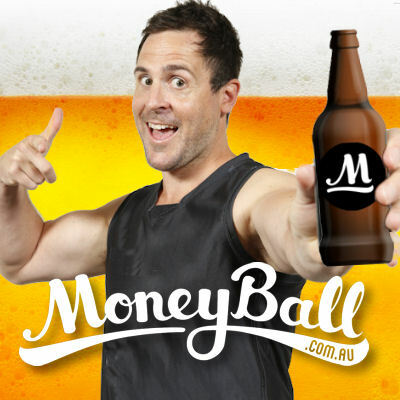 It’s Moneyball’s $5000 Sunday Funday! Check out Roy’s five hot tips and he might even shout you a 6th! Dylan Roberton (DEF, $7,400) Is so under-priced based on his recent form that he picks himself. He is playing loose in defence and it seems his job description is to basically rack up as many Moneyball points as possible. He reminds me of Heath Shaw at his best, shamelessly racking up +6 while averaging 21 kicks, nine marks and 112 in his last three. Mitch Duncan (MID, $9,100) loves an open game and does not hold back at the opportunity to pick up cheap touches and junk. Given the Saints give up over five 100+ scores per game, this plays right into his hands and he is obviously available for less than some of the more popular mids. Brandon Parfitt ($4,900) Has overcome a slow start to now become my value play of the day. He is coming off scores of 90 and 74 in his last two and should push an 80 vs the Saints which is great value for money. Andrew Gaff (MID, $9,200) With the Hawks ranking number one in points conceded and number two in hundreds conceded, Gaff springs to mind as a player who will take full advantage of that. His high ceiling has already been on show this year while ranking second in the league for disposals and his recent form vs the Hawks (when they were good) reads nicely with scores of 111 and 115. Josh Kennedy (FWD, $7,600) has the ability to kick a bag of goals and pump out a huge score. This may be the game to chase that given the Hawks are struggling to contain opposition forwards, let alone Kennedy. He kicked five on them last year and should snag more than that on today. Elliot Yeo (MID/FWD, $8,100) Had four hundreds last year… he already has three since moving to half back and basically being responsible for nothing other than racking up the ball. This friendly role has resulted in him being ranked number one for marks and given he faces the Hawks who are the second worst for marks conceded, he could have 15!